I'm Chris Cobb, I have been teaching guitar at Music & Arts since 2010. I have over 25 years of teaching experience ranging from youth centers, college courses, churches (10 years of experience in music ministry), and private teaching. 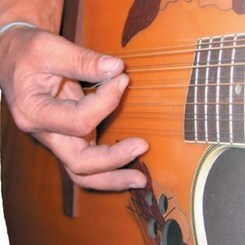 I teach acoustic or electric guitar to students of all ages and any skill level. I love teaching and guiding students through the process from not even knowing how to hold a guitar to being able to play your favorite song! Whatever you want to learn from country, to gospel, to pop, or modern rock; with a little practice you can learn to play anything. In addition to Music & Arts recitals, I also offer jam session throughout the year that give all of my students the opportunity to play together in a band setting.